Over the past few weeks I’ve been working closely with my students and developed new course work to help develop their mental capabilities. I’ve instructed them that once they have understood and been fully trained they will achieve a state of CLEAN, clean of any dead dino influence! A person who is in the state of clean has perfect memory and understanding and is at the height of their intellectual capacity! Bella and her father, Simis, have been working on their study materials in every free moment! It is very exciting to see! They have even stayed over a couple of times having studied late into the night. Here’s a snapshot of them curled up with my latest (at the time) training guide. Wow, so much has happened in the few weeks since Dinonetics was published. First up, we had a lovely book launch at the museum. Many friends were invited along and it was not without incident, let me tell you! The launch party was great fun. So many people were interested in the ideas I put forward in Dinonetics. Here’s a shot from when we were gathered outside. I’ve been doing a lot of thinking before I write my next book. I don’t think the world is quite ready for the fullness of my recent realization. I am going to have to break it down into pieces so everyone understands it. And this way I get to charge for each book, right? I could do with the extra money! It has been a busy few weeks, let me tell you! First of all, I’m doing great work: I’ve already got two promotions! I’m now earning the big bucks! What’s even better is that the boss doesn’t seem to mind me spending all my time chatting with the other soldiers. I’ve also made some very, very interesting discoveries! Oh, I got married too. I’ve been having lots of fun inviting my workmates, Ian and Jack, and the boss, Erin, over for dinner a few times. I also invited Buster over as well, the old guy I wrote about earlier. We’ve all become pretty good friends! They brought a few of their friends to my parties and we’ve all had a grand time. Here’s a photo from one of the parties. I don’t know who invited the kids, but it was fun when the TV repair man joined in as well! 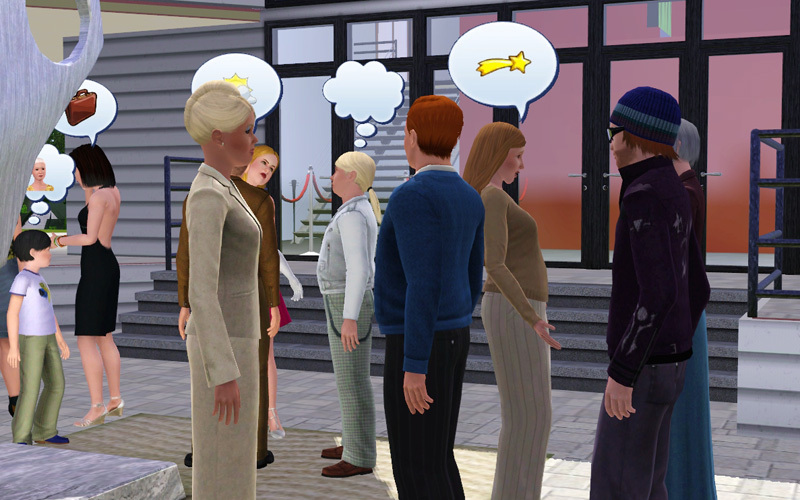 With Sims 3 released, roBurky over on Quarter To Three has come up with a grand scheme! 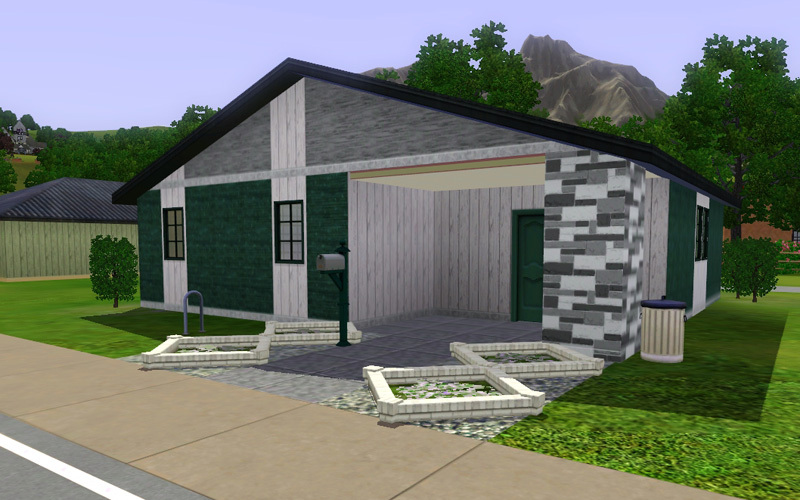 The first family I plan to try in The Sims 3 is a variant of the old Sims 2 poverty challenge. 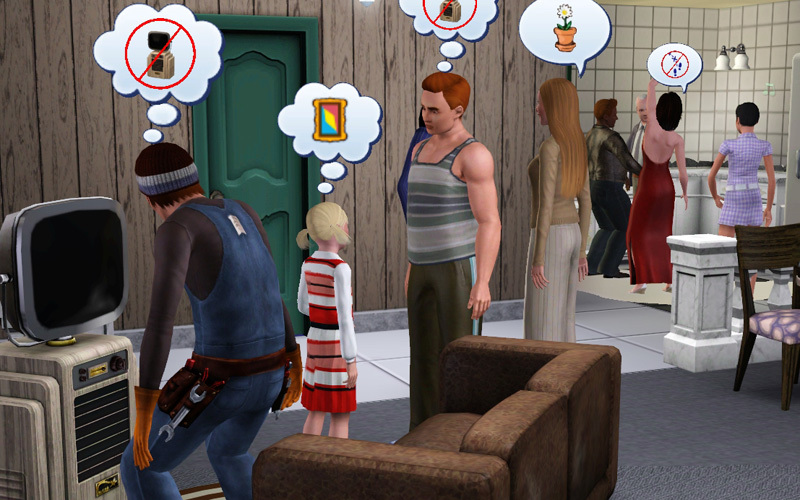 I’m going to make a homeless man and his daughter, remove almost all of their money somehow, and then try to get them to survive without taking job promotions or any other easy cash route. The daughter will start as loser, loner, and good. Will pick up clumsy as she grows up. The father will be hot-headed, mean, grumpy, insane, and dislikes children. Basically the worst dad in the world. You can read their adventures from here, and check his flickr photo set here.